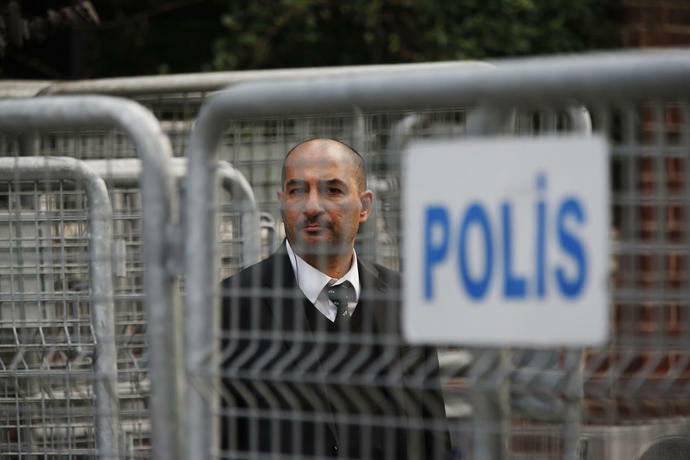 Anadolu news agency reported that the decision was made by the Istanbul governor's office Sunday, citing an anonymous security official. Merkel told reporters in Berlin on Sunday that "I agree with all those who say that the already limited arms exports... can't take place in the situation we're currently in." 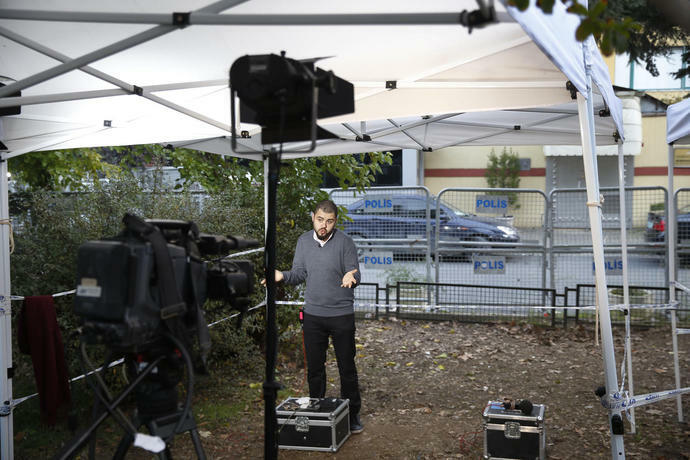 Germany's Foreign Minister Heiko Maas had called Saturday for a halt to German arms exports while the investigation into Khashoggi's death continues. Merkel reiterated her condemnation of the killing at Saudi's consulate in Istanbul, and her earlier call for the kingdom to provide further clarification on the incident and hold those responsible to account. 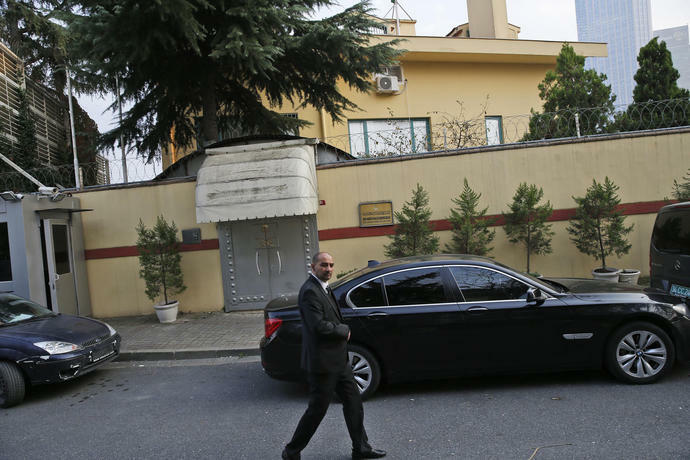 Saudi Arabia's foreign minister has called the killing of journalist Jamal Khashoggi earlier this month at the Saudi consulate in Istanbul a "rogue operation" and an "aberration." Adel al-Jubeir told Fox News on Sunday that those responsible will be held accountable for "this huge and grave mistake." "We can feel their pain and we wish this didn't happen and I wish that this could have been avoided," he said. Al-Jubeir echoed President Donald Trump's warnings against rushing to judgment against Saudi leaders, saying, "There is the presumption of innocence until proven guilty," and that some have "turned that upside down." He adds Saudi officials do not know the whereabouts of Khashoggi's remains. A bipartisan group of U.S. lawmakers are accusing the crown prince of directing the operation. South Carolina Sen. Lindsey Graham said Sunday "I find it impossible to believe that the Crown Prince was not involved." 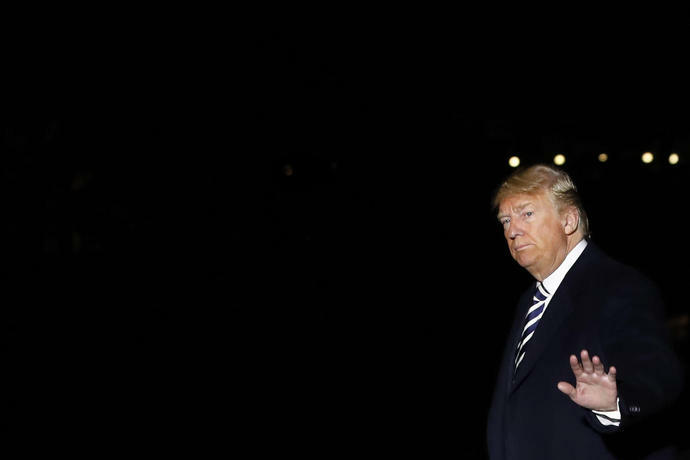 President Donald Trump said Saturday he would speak to the crown prince "very soon" as he works to determine what, if any, consequences the U.S. ally will face for the killing of a dissident journalist. Trump said he planned to consult with Congress to devise a response. "We'll have an answer by probably Tuesday or so," he said. On Friday, during a round table in Arizona, asked if he believed whether the Saudi explanation that Khashoggi was killed during a "fistfight" with more than a dozen agents was credible, he said: "I do. I do." But Saturday, in an interview with The Washington Post, Trump said, "Obviously there's been deception and there's been lies." Still Trump has offered kind words for Mohammed bin Salman, and his father, King Salman, repeating their denials that they were involved in Khashoggi's killing. 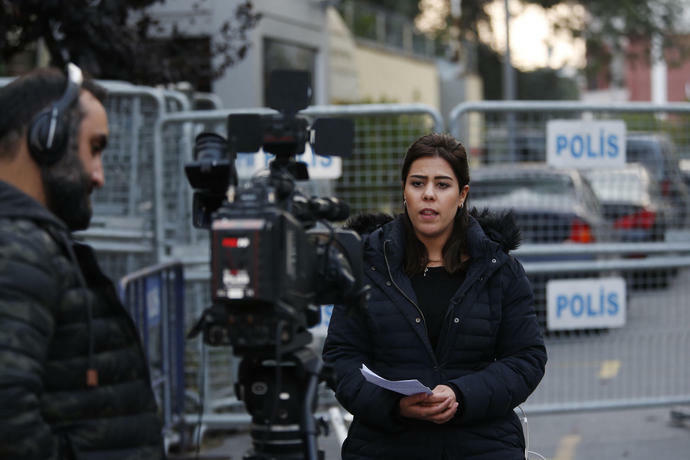 Britain, Germany and France have issued a joint statement condemning the killing of writer Jamal Khashoggi, saying there is an "urgent need for clarification of exactly what happened." Turkey's president says he will announce details of the Turkish investigation into the death of Saudi writer Jamal Khashoggi's on Tuesday. 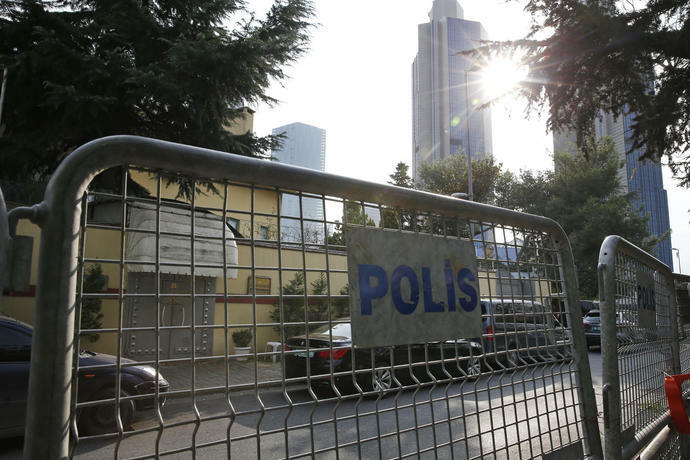 Turkish pro-government media say a hit squad traveled from Saudi Arabia to kill Khashoggi in the Saudi consulate in Istanbul after he entered the building on Oct. 2. Saudi Arabia has acknowledged that the critic died there, though says his death was the result of a "fistfight." Sen. Rand Paul told "Fox News Sunday" that the U.S. "cannot continue to have relations with him and so I think he's going to have to be replaced." The Kentucky Republican said that there's growing support in Congress to stop selling American arms to the Saudis, even though President Donald Trump says he doesn't want to jeopardize U.S. defense company jobs. Paul said that he doesn't believe that "arms should ever be seen as a jobs program," adding that the Saudis are using U.S. arms in the war in Yemen where civilians are being killed. "I would cut off arms sales. It's the only thing the Saudis will listen to," said Paul. "I don't think we need the Saudis. The Saudis need us much more than we need them." The chairman of the Senate Foreign Relations Committee says Saudi Arabia's Crown Prince Mohammed bin Salman "crossed a line" in the killing of journalist Jamal Khashoggi and must pay a price. Tennessee Republican Bob Corker says that based on his briefings he believes the royal known as MBS was behind the killing of the Saudi critic. He is being interviewed on CNN's "State of the Union." Corker tells CNN's "State of the Union" that the crown prince has "now crossed a line and there has to be a punishment and a price paid for that." Corker is also calling on Turkey, which has said it has tapes from Khashoggi's killing inside the Saudi Consulate in Istanbul, to turn them over to the United States. He says of the NATO ally: "The Turks have been talking more to the media than they have us." 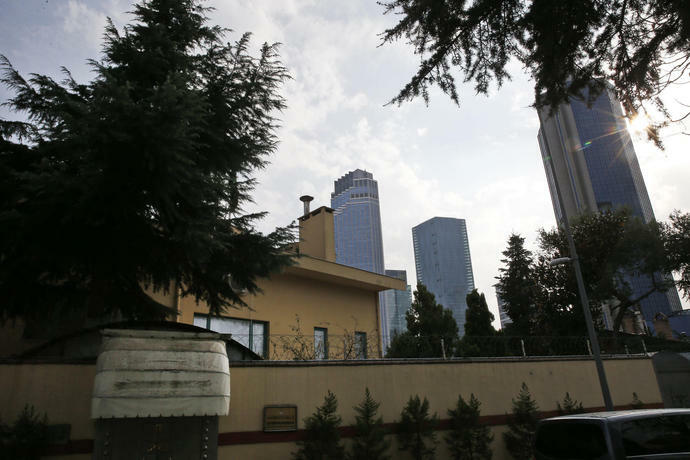 Saudi authorities have said Khashoggi died in a "brawl" with Saudi officials at the Saudi Consulate in Istanbul on Oct. 2, the latest in a series of conflicting explanations for his death. 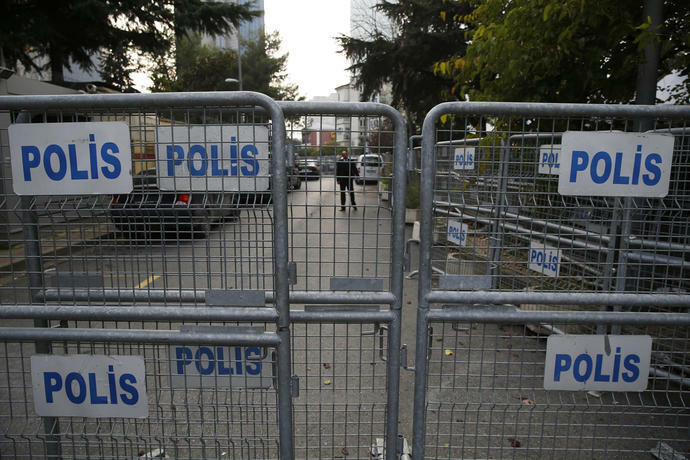 Turkish officials suspect a team of Saudi agents was sent to assassinate him. 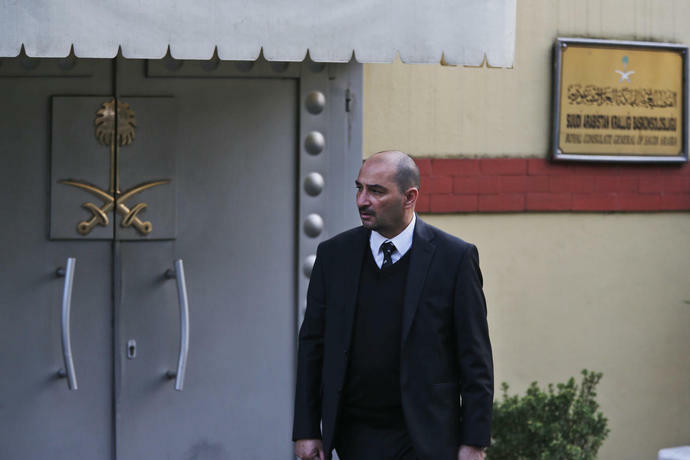 Saudi Arabia said 18 Saudi suspects were in custody and intelligence officials had been fired. But critics believe the complex scheme that led to Khashoggi's death could not have occurred without the knowledge of Mohammed bin Salman, the country's powerful 33-year-old crown prince.